Roof cleaning services ensure that you roof can survive a warm, humid climate such as here in Houston. A beautiful home, lush tropical landscaping… and ugly black streaks on your roof. The culprit for those unsightly blotches goes by the scientific name of Gloeocapsa Magma, a hardy form of algae. You probably know it as roof mildew. However you describe it, it’s unsightly, and mars the curb appeal of your residence or commercial building. Our effective Soft Wash process is developed through years of research and development of the Roof Cleaners Institute of America and approved by the Asphalt Roofing Manufacturers Association. It’s a long term solution to restore your roof’s beauty – and we warrant it for your peace of mind. Affordable Roof Cleaning of Texas Soft Wash System provides the solution for unsightly, black roof staining. Our Soft Wash system is applied using components which are water-based, spray applied and low pressure. Maintain Your Roof’s Beauty. No matter how beautiful your landscaping, or how well you maintain the exterior of your home or business, unsightly black stains on your roof mar the attractive look you want. Our Soft Wash System enhances curb appeal while protecting your valuable asset over time. Applied by Qualified Experts. Affordable Roof Cleaning of Texas applicators have been trained to treat your property with respect, without damage to your roof or landscaping. One telephone call or one click. One treatment. 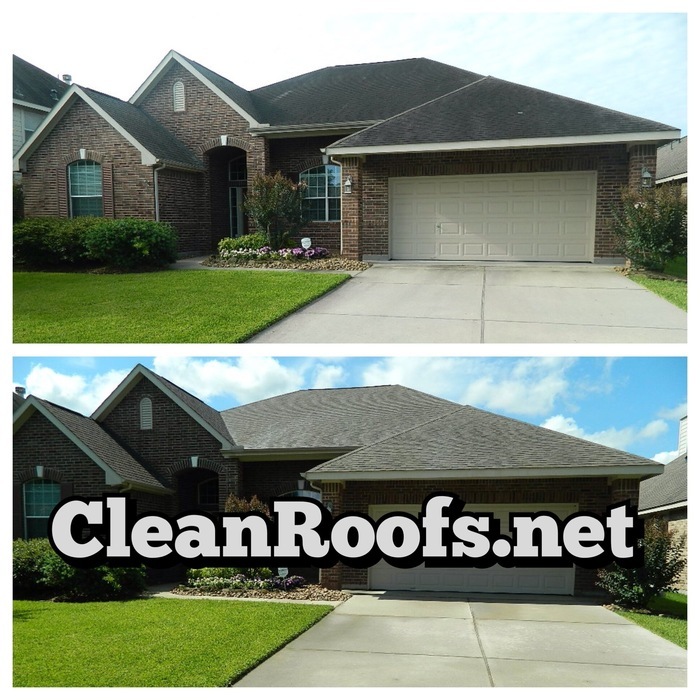 Affordable Roof Cleaning of Texas will enhance your curb and the Houston community appeal for years to come.